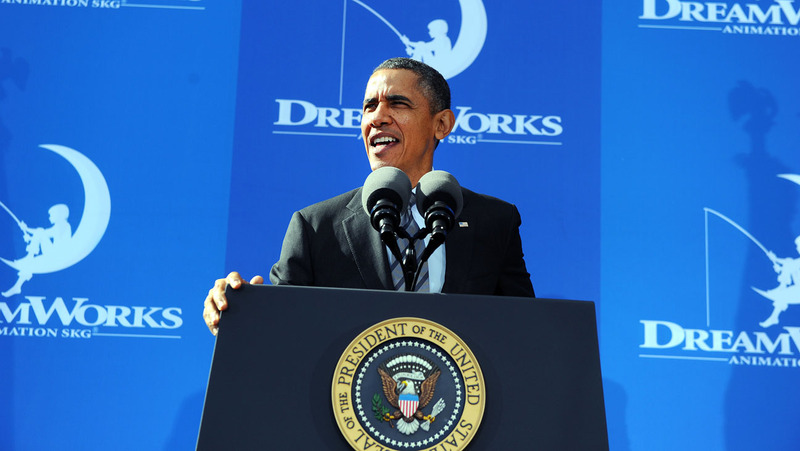 The president made his case at DreamWorks. Businesses have produced jobs for 44 straight months, 7.8 million in total. Manufacturers are adding jobs for the first time since the 1990s. We’ve doubled renewable energy production and, for the first time in decades, are producing more of our own oil than we import. Deficits are down by more than half, and are plummeting faster than anytime since the demobilization after World War II. “America has gone farther, recovered faster than most other industrialized nations.” And of course, the stock market is hitting new records every passing day. But Americans aren’t buying and for good reasons. They aren’t sharing in the recovery. Mass unemployment continues. Over 20 million people are in need of full-time work. The participation rate in the economy has barely budged. Corporate profits are at record levels, but workers aren’t sharing in the profits they help produce. The richest Americans have pocketed virtually all the rewards of growth. Median household incomes have lost more ground in the recovery than they did in the Great Recession. The top 10% of Americans pocket more of the nation’s income than the bottom 90%. Americans get it. The rules are rigged. The banks get bailed out; homeowners struggle to stay afloat on their own. College grads have their wages garnished if they can’t pay their student loans; bankers commit fraud but keep their dough. Small businesses pay taxes while multinationals pirate billions to tax havens abroad and pay nothing. 11 million are exploited in the economic shadows as immigration reform is blocked, while the bipartisan center pushes trade accords that protect investors but not workers. The White House reads polls. Their pollsters understand that jobs and the economy remain the public’s greatest concern. They watched opinion about the economy get better after the 2012 election and then plummet with the government shutdown and the Obamacare launch. Makes sense, but doesn’t get it done. Americans think the system is rigged. They are ready to throw the bums out. They want to know who will be the change. Who understands how hard it is out there for working families, for the young trying to get started, for older workers headed into retirement without a pension or savings. Who is prepared to take on the special interests, the big banks and the corporate tax dodgers? And who stands in the way? 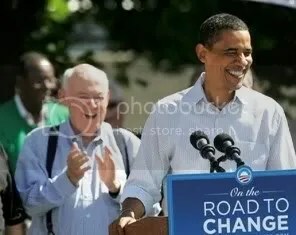 If Democrats are to have any shot in 2014, they have no choice but to be the change. They have to be willing to indict an economy that does not work for working people. They have to call out the special interests and the inside deals. They should be lining up fights – to raise the minimum wage, to close tax havens and use the money to rebuild the country and put people to work, to break up the big banks and censure the Justice Department and regulatory agencies that have failed to hold bankers accountable for the epidemic of frauds and fixes that they used to fleece their customers. They’ve got to move on slamming shut the revolving door that undermines any hope of independent government. And they should make it clear in fight after fight that Republicans are standing in the way. That means Democrats have to follow Elizabeth Warren, Sherrod Brown, Jeff Merkley and Bernie Sanders, rather than echo the president. Yes, the economy was saved from free fall. With the White House leadership and the active Federal Reserve, we’re doing better than a Europe shackled by austerity. But we’re not on the right track for working families. We haven’t laid the new foundation for shared prosperity. The rules are still rigged. And on issue after issue, Republicans are defending the entrenched interests, protecting the few, and standing in the way of change. Americans have a clear opinion about Republicans, whose popularity has hit new lows. But they are sensibly skeptical about Democrats and politicians in general. As Alan Grayson informed his colleagues, the Congress polls lower than dog poop. Occupy was just the first wave of what will be growing, independent, and increasingly angry populist movements. And the politicians who don’t get it won’t get it.